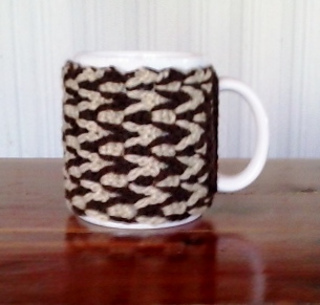 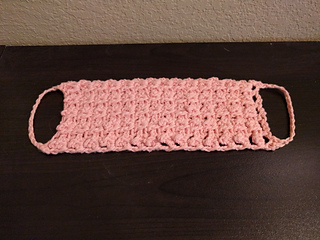 in follow the first 7 rows of the mug cozy pattern. 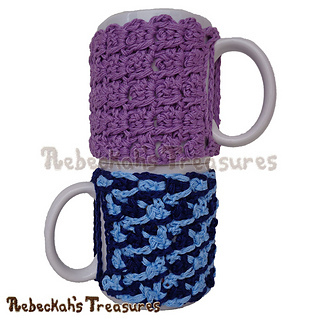 Designed to fit the standard 8oz (240ml) mug – 10.25” (26cm) circumference by 3.75” (9.5cm) tall. 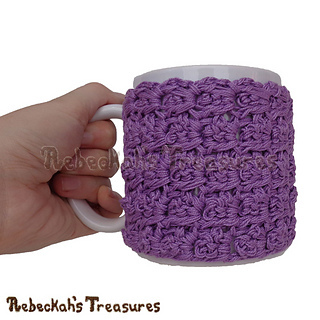 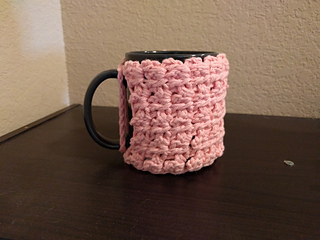 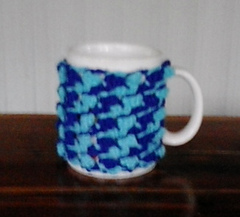 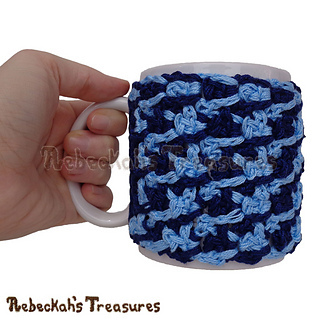 This home accessory pattern includes written instructions and a photo + video tutorial for crocheting a gorgeous mug cozy using one or more colours. 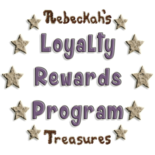 FREE online viewing via Rebeckah’s Treasures’ web-based blog. 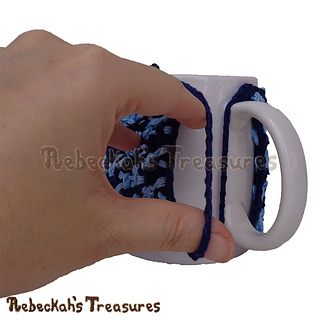 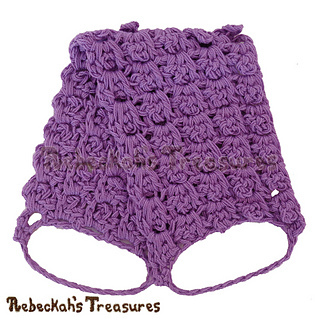 FREE Video Tutorial via Rebeckah’s Treasures’ YouTube Channel. 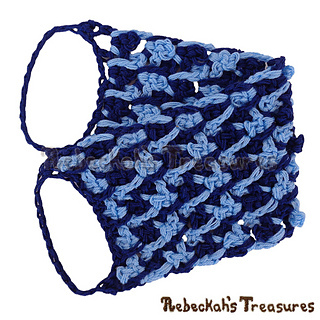 4-page, ad-free, printer friendly PDF digital download - ONLY $1.75, OR SIGN UP for Rebeckah’s Newsletter and grab this pattern or another of your choosign (from the loyalty program list for FREE in the next edition! 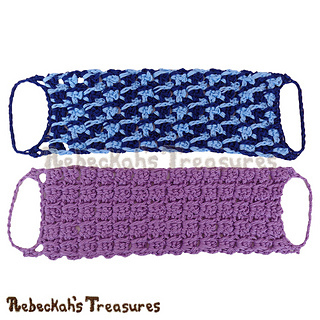 Use sport yarn or triple up on cotton thread 10 using Briana K’s techinque. 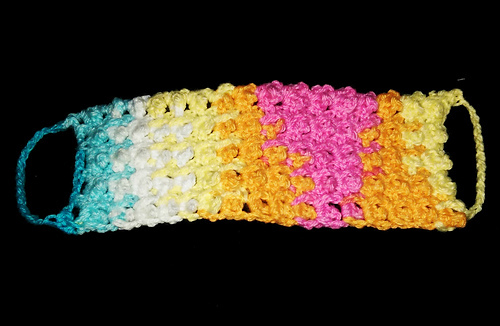 This crochet pattern is part of the Holiday Stashdown CAL 2016! 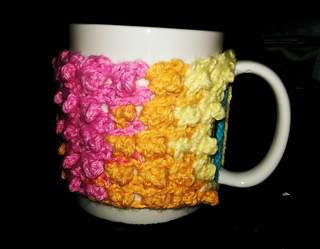 Learn more here… or join the Ravelry Group here.